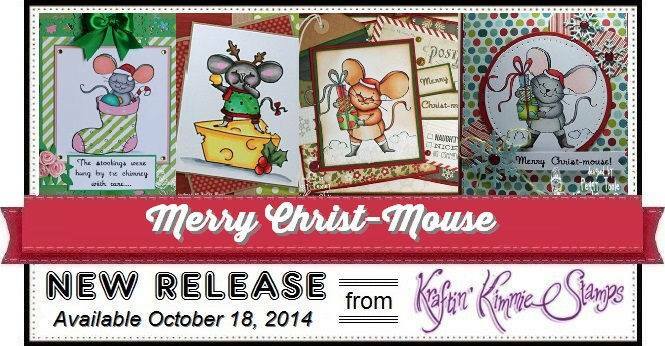 It’s day two of the October sneak peeks at Kraftin’ Kimmie Stamps, and we have a cute one for you today! This set, set from artist THAIS NARCISO features THREE main images and FIVE awesome coordinating sentiments! This fabulous set is called MERRY CHRIST-MOUSE! 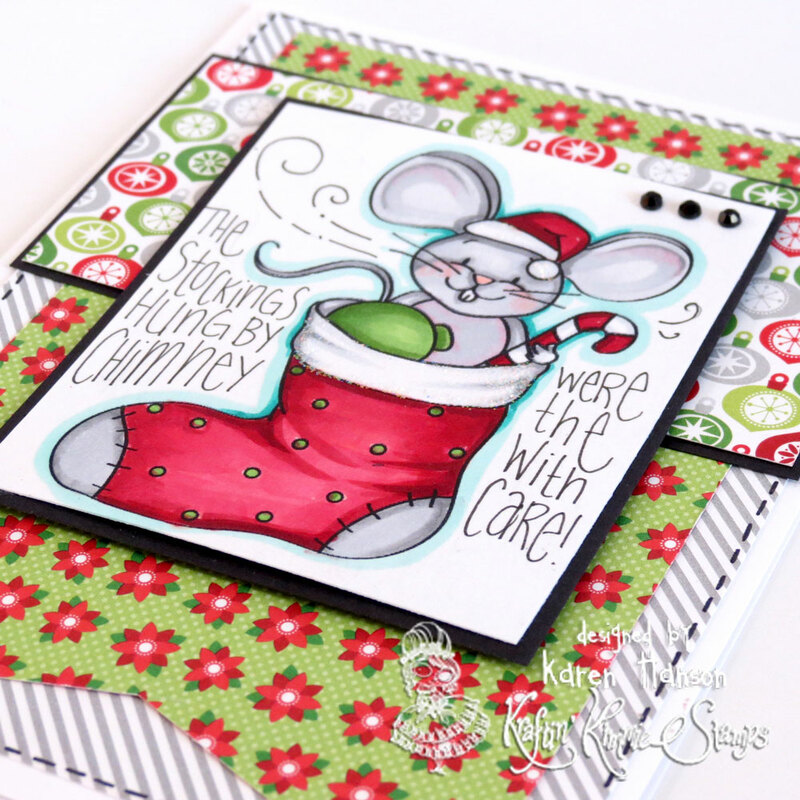 I decided to team up this stocking cutie with some Doodlebug paper, and then coloured him up with Copics to match. I worked with some simple layers – I am trying to keep my Christmas cards a little flatter this year so it doesn’t cost a fortune to send! What do you think – does it seem like it is missing something? 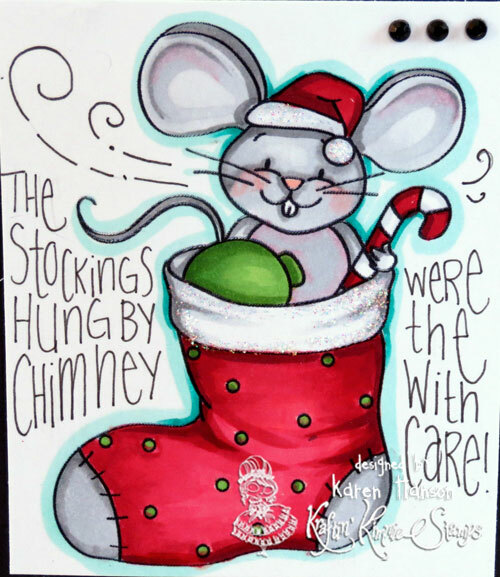 This entry was posted in Cards, Kraftin' Kimmie and tagged Christmas, kraftin' kimme, mouse by Scrappy Canuck. Bookmark the permalink.